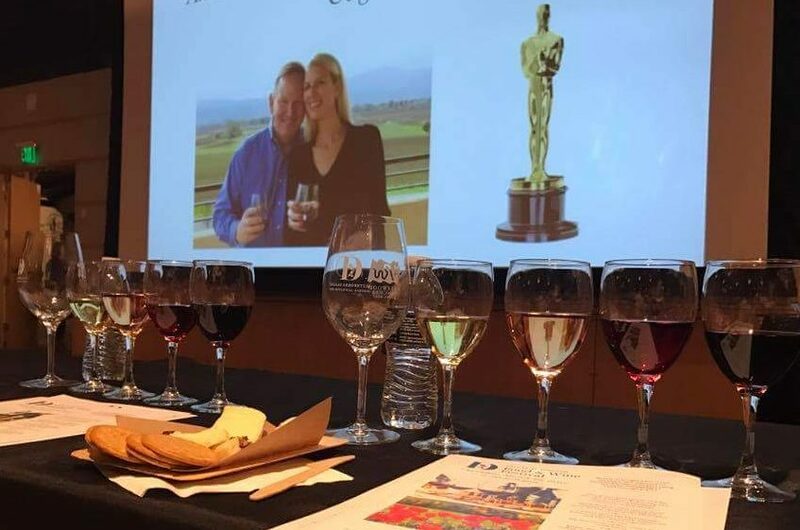 Join the Cogills on March 1, just a few days before this year’s Oscar Awards at Studio Movie Grill/Royal Lane, Dallas location for an evening of wine and film, toasting the 2018 Oscars, benefiting The Dallas Film Society, tickets available here. Just a few days before the biggest movie award show of the year, this is the perfect time to get the inside scoop from one who knows the topic best, film critic Gary Cogill. For 24 years Gary served as the film critic for WFAA-TV in Dallas, reviewing over 10,000 films, and conducting more than 20,000 interviews. Gary will walk through the top nominations for this year’s 90th Annual Academy Awards. Sommelier Hayley Hamilton Cogill will join the discussion, pairing a selection of wines with key award contenders and categories. Light appetizers and movie favorites from Studio Movie Grill’s menu will be included with the selections. The evening will feature a select number of incredible live auction items, including the same wines every celebrity will be drinking at this year’s “Oscars,” and All-Access Star Passes for the 2018 Dallas International Film Festival, with proceeds benefiting the Dallas Film Society, producers of the Dallas International Film Festival. Tickets for this special night, including the discussion, wine and snacks are only $40, available through the Studio Movie Grill website, here. Wish I didn’t live so far away!